Wondering whether to watch "Biggest Loser" after this week's episode? Kristen Rajczak weighs in. This season's "Biggest Loser" has plateaued-- much like a person's weight does while he or she is in the process of losing. After last week, I compiled a list. 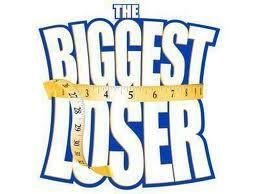 My top 5 biggest reasons to stop watching this season's "Biggest Loser." More than one person has now reached her goal weight. Both Marcy and Kaylee lost enough that they are at relatively healthy weights. That's great for them, but let's be honest, it's just no fun to watch someone lose no weight or only one or two pounds. And it's no fun to see someone's transformation moment, like Marcy's, and see they have no tangible goal to reach for the finale because that goal was already reached. Now all the women are so small, things just aren't very exciting. Courtney says "weight-loss journey" too much. We get it. You have been losing weight since before you were on the show. But I don't care because I didn't see it. Does anyone else think that by the end of the season Cara is going to make out with someone? My bet is on Austin because he totally digs her. Then again, Austin seems to also dig Courtney and Kaylee. Maybe we'll have a "Bachelor"-like moment at the finale with a pair of them snuggling up on a coach, telling Allison they are so happy the show brought them together. Kaylee, Ken, and Irene have no discernible personality. The only reason I tolerate Kaylee is because Moses is so freakin' cute! If only his daughter had gotten some of those likeable genes. Wait, is this "Survivor"? How many times are we going to change teams and colors just so we don't have to vote anyone off? Then, it seemed pretty pointless to bring in team 12 if they weren't going to make it onto campus. Next season will be "Biggest Loser: Redemption Island," guaranteed. Really, it's just annoying. I'm pretty sure this season will never end. But last night, I was reminded of why I love the show. First, I'm pretty attached to Moses and Rulon, both of whom had great moments in last night's episode. Moses told Jillian he doesn't like cardio and wants to start boxing again like he did with Brett and Cara—so she let him box! Soon after, Bob, who has given Rulon grueling, Olympic-sized workouts, got that huge hunk of man to do a handstand. Then, I didn't hate this week's pop challenge! Though it involved some inanity about balancing balls on a board, it was worth it. The red team lost and had to go off campus for the week. They had $1,000 budget and a "menu" of options from which to choose. And decided to not to train with Brett! Finally, a few contestants are going to try to make it on their own. Jen even says, "We need to be able to stand on our own two feet." However, the Easter egg hunt, in which Olivia won the chance to be the only person voting this week, was pretty lame. Olivia said when she got that vote, the only person on campus that was safe was her sister, Hannah. But at the weigh-in, Hannah doesn't lose any weight. It seemed that Rulon, who Jillian called out for snacking, would go home. That's until Courtney only loses two pounds. I guess she needed Brett this week after all. The red team's fate—and Rulon's, really—was on Jen's shoulders. Being one of the most reliable losers on campus, it's a huge surprise when the scale reads… zero. Lucky for Olivia, there's no vote to be cast as Jen goes home automatically. Rulon is safe, but after what Jillian said to him, I think I'd have rather gone home. She is going to rip him to pieces in the gym next week. That's enough to keep me watching.